Do you want to hire the right people? 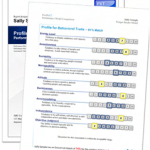 The ProfileXT® (PXT) assessment measures how well an individual fits specific jobs in your organization and will help you hire the right people. The “job matching” feature of the PXT is unique, and it enables you to evaluate an individual relative to the qualities required to successfully perform in a specific job. It is used throughout the employee life cycle for selection, on-boarding, managing and strategic workforce planning. This assessment reveals consistent, in-depth, and objective insight into an individual’s thinking and reasoning style, relevant behavioral traits, occupational interests, and match to specific jobs in your organization. • 46% of new hires fail within 18 months. • Only 19% will achieve unequivocal success. • Technical skills are not the primary reason for failure. The ProfileXT gives you an objective inside look at the behaviors and motives of job candidates to help you make better hiring, promotion and organizational decisions. Giving this information to managers helps them be more effective and get the very most from their people. 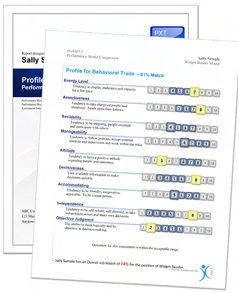 How does the Profile XT assessment work? Prior to assessing candidates, our experts help you develop benchmarks for the jobs in question that you will use to compare job candidates against. Once established, we will deliver the PXT to the candidates over the Internet—hiring managers or an HR administrator simply forwards a link. Alternatively your organisation can control the whole process by purchasing a Virtual assessment centre. The assessment does not need to be monitored, so the candidate can take it from any computer with Internet access. The system instantly scores the assessment and informs the hiring managers where they can access the results. The hiring manager can use the results as a screening tool or to assist them in the interviewing, selection and on- boarding process. Useful to the hiring manager. Provides insights into the persons thinking style, behavioral states and occupational interests. This report also includes a job match percentage. Useful to the employee. Provides the person with a total person overview and occupational aptitudes. Useful for succession planning. It illustrates the individuals job match percentage to all job match patterns within the company. Useful to the hiring manager. Provides an overview of all the candidates for a particular job and their job match percentages in descending order from most suited to least suited. Useful to the manager. Used for training, development and motivation. Useful to the hiring sales manager. Provides a report that details the candidates sales behaviors and potential. 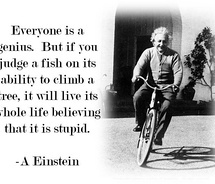 illustrates an individuals fit to sales positions in your organisation.